"publisher" E.H.P.-Miss Elizabeth Hutchinson Packard. As I had spent many a childhood, week-long, family summer holiday on the beaches of southern Maine, I was familiar with Wells, York, Ogunquit, and Kennebunkport. "K'port," as it is known to locals, is familiar to many today as the site of the presidential Bush family's compound; however, in the late nineteenth and early twentieth centuries, Kennebunkport was well-known as the summer playground of the wealthy who traveled there from New York, Boston, Piftsburgh and other large, unbearably hot cities on the American East Coast. The Cape Arundel part of Kennebunkport still features rocþ shores and spectacular views of the Atlantic Ocean, and it was such vistas and cool breezes that led to the building of 'tottages" on the land rising above the shore. American architects such as John Calvin Stevens2 were engaged to design and build shingle-style homes with rugged stone fireplaces, large porches, superb cross-ventilation and plenty of room for boat-storage, horse stalls, and quarters for the servants who accompanied their employers on their annual trips to the Maine coast. Figure 2: John McCrae and Ethel Halsey at the front door of "Alderley," 1903. Photo courtesy of David Gardner-Medwin. Figure 3: The same spot at the front door of'Alderley" in 2010. Photo courtesy of Linda Granfeld. Clearly, given his hand-written poem on the "Alderley" notepaper, John McCrae had visited Kennebunkport. The questions remained: with whom was he spending time, and was the cottage known as "Alderiey" still standing? Biographer Dianne Graves mentioned McCrae's visit to friends who "had invited him to join them for a week in September ".3 Unfortunately, the friends were not named. Sir Andrew Macphail noted that among McCrae's "diversions" was "one visit to the Packards in Maine... "4 I considered this information a significant breakthrough. The clues "September 1903" and "the Packards" led me to no further satisfaction after a visit to Kennebunkport in 2009; a town librarian, however, offered to relay my questions to a local historian, Joyce Butler. Ms. Butler has written extensively about Kennebunkport through the ages and noted that "the town had a strong summer newspaper, The Waye,from 1887 to 1908 (published cottage lists and news items about owners).... "5 Tandem research done between two strangers (Ms. Butler and me) resulted in the location of "Alderley" in 2010. A copy of a photograph in the Guelph Museums' collections showing John McCrae reading on a porch was sent to Maine with the hope that the decorative porch trim would prove a match to the current cottage Ms. Butler saw on Old Fort Avenue-and it did. Also, the cottage had been built for "Edwin Packard of Brooklyn, New York. "6 Another score, and another important lead. Figure 4: "Alderley", as shown in The Brooklyn Eagle, July 17, 1901, p. 9. Credit: Public Domain. The family was in Scotland with Edwin while he purchased linen for Stewart's. Bridge of Allan, three miles north of Stirling, had an early history in textile manufacturing and copper mining. Local mineral springs, however, led to development as a spa destination for travelers, the Packards among them.16 In October that year, at the age of three months, Elizabeth "Bessie" Packard made her first journey, home to America.17 The next month, in Guelph, Ontario, fohn was born to David and fanet McCrae. No one could have foreseen that 25 years later, the lives of these two infants would intertwine. Figure 5: Alderley/Braemar, 2010. The oeil-de-boeuf window and the enclosed porch were not part of the original design. Photo courtesy of Linda Granfeld. By 1885, the Packard family had moved to 241 Henry Street, a grand home built for them, a mansion that more than adequately reflected the business successes of Edwin Packard. From his nearby Remsen Street office, he sold new-build homes on Garfield Place, near Prospect Park, Brooklyn.25 He was the president of the Franklin Trust Company and later of the New York Guaranty and Indemnity Company. He was a director of the Franklin Safe Deposit Compan¡ the American Writing Paper Compan¡ the Fajardo Sugar Company, and the Brooklyn YMCA.26 Amazingly, given the amount of time each of these positions would have demanded of him, Edwin Packard was also a member of the New York Chamber of Commerce and served for a time as a civil service commissioner. Figure 6: John McCrae, in 1903, reading The Master of Ballantrae on the Aldedey porch. Note the shape of the porch trim here and in the 2010 front entry ímage. Photo courtesy of Guelph Museums - McCrae House (M1968X.436.3). During the 1890s, Elizabeth Packard, as well as her sister Mildred, appeared often in newspaper articles relating details about brilliant society balls and the composition of wedding parties in Brooklyn. Lavish descriptions of the locales fill paragraphs in each article: rooms with gilded columns are full of sparkling incandescent lights, jardinières of roses and lilies, laurel and rose wreaths, and musicians hidden behind "a huge screen of white and pink azaleas. "30 Many a Brooklyn wedding featured one or more of the Packard sisters among the bridesmaids. Figure 7: Elizabeth Packard riding side-saddle. McCrae is accompanying her in this photograph believed taken at Alderley in Kennebunkport, Maine, 1903. Photo courtesy of Guelph Museums - McCrae House (M1999.7.1). By the summer of 1897, Elizabeth Hutchinson Packard emerged as a young woman, talented in music, trained in many areas, well-travelled, and considerate of the needs of those less fortunate than herself. Philanthropy was always a part of the Packard family schedule; Julia Packard was a patroness of events that raised funds in aid of the Brooklyn Home for Aged Men, for example. At 25, Bessie was taken on-staff to nurse ailing Baltimore children over the summer at the Robert Garrett Children's Sanatorium in Mt. Airy, Maryland. As it happened, a certain young Canadian, John McCrae, was working there, too. Figure 8: The Packard family home, 241 Henry Street, Brooklyn, New York. Photo courtesy of Brooklyn Public Library, Brooklyn Collection. After the sanatorium work in Maryland, McCrae returned to Toronto and graduated from medical school in early 1898. Within two years he was serving with the British artillery in the South African War. Elizabeth Packard, meanwhile, had returned to her life in Brooklyn Heights, New York. Few details are known of this time in her life. Figure 9: Miss Packrd and "Christopher" at Robert Garrett Children's Sanatorium, Mt. Airy, Maryland, 1897. Photo courtesy of Guelph Museums - McCrae House, (M1968X.449.1). Mrs. John T. Halsey was the former Mildred W. Packard, older sister of Elizabeth. The marriage took place at the Packard home in November 189936 and their first child was expected a year later. Although Bessie nursed children in Maryland, there is no evidence of her having received formal nurses' training at any time. Given her experience, however, it can be assumed that with Mildred's coming confinement, Bessie's presence in Montreal would have been needed and appreciated. Ethel Mildred Halsey was born on November 22, 1900 in Montreal; her first home was on Durocher Street, mere blocks from Dr. McCrae's apartment on Metcalfe Street. It is difficult to believe that the Halsey family, including Bessie, did not welcome the chance to share time and recollections with John McCrae. It is no surprise that McCrae was invited to enjoy the sunshine and surf at "Alderley" in 1903, the year before the Halseys permanently moved to New Orleans. Two photographs donated to the Guelph Museums-McCrae House by members of the Packard family show their "Aunt Bessie" riding side-saddle in Maine with John McCrae also on horseback as summer ended and autumn's crispness meant the cottage had to be closed for the winter. He wrote two poems on the letterhead-and she kept the copies for the rest of her life. Figure 10: Miss Packard (right) at Robert Garrett Children's Sanatorium, Mt. Airy, Maryland, 1897. Photo courtesy of Guelph Museums - McCrae House (M1968X.449. 1). After that week with the Packards, McCrae returned to Montreal and Bessie was once more in Brooklyn. There is nothing extant to prove that the two friends stayed in touch by letter, further visits, or even via that wonderful gadget, the telephone. John McCrae's life after 1903 is well-documented: his dedication to his field of pathology; his teaching; his poetry contributions to various publications; his co-authorship of a major medical text; his rejected marriage proposal to his brother Tom's sister-in-law Nona Gwyn. And, in 1914, the beginning of his service as a doctor in the First World War. Bessie's life after 1903 continued to be one dedicated to philanthropic work and family duty. Following the marriage of her sister Clara to Harold Sterling Gladwin in 1908,37 Bessie remained in the Henry Street home with her parents. Her list of associations for the rest of hef life included the YWCA, the Colon¡ Cosmopolitan, Women's National Republican, and City Garden clubs, as well as the National Society of Colonial Dames. In a family photograph taken in about 1911, "Aunt Bessie" stands in the centre, surrounded by nieces and nephews; she never married. ln 1912, Bessie spent four months visiting ltaly. Her life was full and busy. Figure 11: Dr John McCrae at Robert Garrett Children's Sanatorium, Mt. Airy, Maryland, 1897. Photo courtesy of Guelph Museums - McCrae House (M1968X.449.1). "In Flanders Fields" the famous poem by John McCrae, was written and published in that same year; there is no evidence regarding Elizabeth Packard's knowledge of the poem at that time. So vast was the reproduction of McCrae's poem, it is dificult to believe Bessie didn't read it and think of her friend. Even greater losses occurred at 241 Henry Street during 1921. In April, Edwin Packard, 80, died of influenza. In June, 79-year-old Julia Hutchinson Packard passed away. Both parents were buried in the family plot at Green-wood cemetery and by the year's end sanctuary lights had been donated in their honour by the family to the First Presbyterian Church in Brooklyn.48 In February 1922, it was reported that the Packard mansion 'bne of the show places of the Heights section' had been purchased by the African Inland Mission for use as local headquarters "after structural alterations to the interior of the home have been completed. "49 In just over a year, Elizabeth Packard and her sisters lost both parents and the family home. During the economic depression that gripped the world during the 1930s, Elizabeth Packard appears to have managed her funds well; she continued her philanthropy and her travel. And it is during the same period that the McCrae family once more appears in Bessie's life. It is unknown when John's sister Geills McCrae Kilgour met Elizabeth Packard, however, Bessie was certainly a part of Geills and James Kilgour's children's lives as they grew older. Society notices in The Wínnipeg Tribune track Bessie's Visits to Manitoba in the 1930s. But how did Bessie know John McCrae's sister and her family to such an extent that she could regularly schedule visits? Again, there is nothing extant in either family's surviving records that entirely explains the relationship, its beginning, or its longevity. After Geills Kilgour's death.in March 1933 (her husband |ames had passed away in l93l) Bessie was a December guest of the Misses Margaret and Katharine Kilgour in their Kingsway, Winnipeg family home for six weeks after which time she left to spend the rest of the winter in Santa Barbara, California, at the home of her sister Clara Gladwin.52 Such a lengthy visit with the young nieces of |ohn McCrae, over the busy ChSistmas and New Yeart period, suggests a close relationship with Miss Packard.53 Again, what was the nature of that family connection so long after fohn McCrae's death? Margaret Kilgour married architect Robert Gardner-Medwin in Winnipeg in 1935. Elizabeth Packard and her sister Mildred Halsey traveled to England in 1936, and Katharine Kilgour married Dr. Donald Dennison Campbell in England in 1937.54 Had the visits with the McCrae family ended? The boat David recalled was the gleaming, 35-foot Elco cruisette Bessie bought at the 1933 National Motorboat Show in New York.57 David's guess was that his grandmother Geills "met [Miss Packard] through )ack [John McCrae] and had visited her in the Kennebunkport days. He also offered that "Miss Packard featured occasionally in Geills Kilgour's letters to her mother" but that there had been "no useful clues" found there.58 Alas. On January 23, 1947, Elizabeth Hutchinson Packard, age 74, died suddenly at her Manhattan apartment, her "winter home" Her funeral was held at the Madison Avenue Presbyterian Church two days later, and she was buried with her ancestors at Green-Wood Cemetery Brooklyn.61 Her descendants continue to warmly refer to her as 'Aunt Bessie" and hold an obvious fondness for her decades after her death. 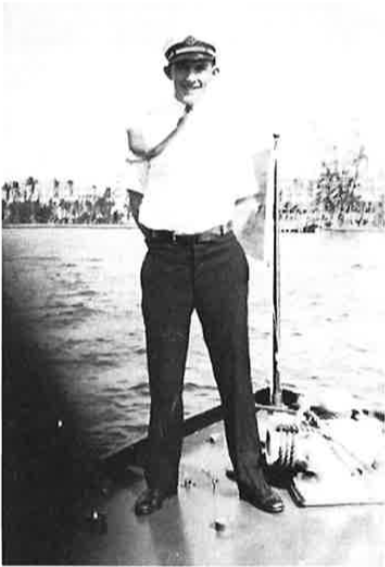 Figure 13: "Captain" Felton Kenney, the man David Gardner-Medwin remembered,. Photo courtesy of Jane Kenney. In the end, however, the true nature of the relationship between Elizabeth Packard, who cherished hand-written copies of his poems, and John McCrae, the soldier, doctor, and poet, remains a mystery. Wishful thinking lets me imagine a day when someone opens a long-lost or abandoned hatbox, smells the sweet scent of violets, and brings to light sheaves of letters carefully tied in faded satin ribbons, postmarked "somewhere in France," and opening with... "Dear Bessie..."
Hand-written copy of "Penance." Collections of Guelph Museums M 1999.6.1 . Four other hand-written poems are included in this volume. "Stevens, John Calvin," Maine: An Encyclopedia, http://maineanencyclopedia.com/stevens-john-calvin/ (Accessed September 2014). Dianne Graves, A Crown of Life: The World of John McCrae (St. Catherines, Ont. : Vanwell Publishing Limited, 1997), p. 91. Sir Andrew Macphail, lzr Flanders Fields And Other Poems by Lieut.-Col.lohn McCrae, M.D., with An Essay in Character (Toronto: William Briggs, 1919), p. 129. Quoted from email correspondence between Joyce Butler and the author, March 16, 2010. Ms. Butler and I finally met in the summer of 20f0. I also met the present owners of the cottage-two doctors who were delighted to hear of the connection of their home to John McCrae. They began to recite "In Flanders Fields" on the porch. The Brookþn Blue Book and Long Island Society Register (Brooklyn, N.Y.: Brooklyn Life Publishing Company 1909) p. 174. The Packards are also found in The Elite of New York Society List (t Club Register (New York: n.d.), p. 305. Much of the information given for Edwin Packard derives from his death notice in TheNew York Times, April 28,1921, as well as other confirmed, credible sources. The multi-storey emporium eventually became the famed Wanamakert. For an interesting re-telling of the Stewart/Wanamaker buildings story and period photographs, please see www.http://daltoninmanhattan.blogspot.ca/2012/11/the-1906-john-wanamaker-annex-no-770.html (Accessed September 2014). New York Passenger Lists, 1820-1957, Ancestry.com, for November 30, 1865. Samuel Hutchinson obituar¡ The New York Times, June 16, 1876. Children's births drawn from genealogical records on Ancestry.com. An elder sister, Ethel, was born in 1869 and died in 1873. Presumably, Mildred Packard Halsey's daughter Ethel (b. 1900) was named in honour of this sibling. There appears to have been a seventh child, a daughter named May (b. 1876). On the 1900 U.S. Census, May is listed as aged 23 and living with Edwin and Julia. May however does not appear in the 1880 U.S. Census, when she would have been about three or four years old. U.S. Passport application #101315, signed by Elizabeth H. Packard, April 6, 1905. Copy appears on Ancestry. com. (Accessed March 17,2010). New York Passenger Lists, 1820- 1957, Liverpool, England to New York, New York, for October 12, 1872. "Edwin Packard Elected Chairman of The General Committee, "The New York Times, January 11, 1882. "Pointed Opinions," The Brooklyn Eagle, February 5, I 882, p. 3.
" F or Cleveland," Th e Br o oklyn E agle, A,,tgttst 4, 1 888, p. 4. For Sale advertisement, The Brooklyn Daily Eagle, April 15, 1885, p. 2. Edwin Packard obituary notice, Th e N ew York Ti me s, April 28, 192 l.
"Farewell to School Girl Days," The Brooklyn Eagle,Jtne 8, 1888, p. 5. "Miss Elizabeth Packard" obituar¡ The New York Times, Jantary 25, 1947 . Miss Porter's School/School History," http://www.porters.org/ (Accessed at March 20, 2010). "Ihpetongat Brilliant Ball 18941' The New York Times,January 24, 1894, p.9. "Talk to Women on Free Trade," The New York Times, April I , 1894. It is interesting to note that Elizabetht sister Mildred was listed âs ân anti-suffrage supporter in a New York Times article published a month later. Obituar¡ The Brooklyn Eagle, lantary 25, 1947, p. 7.Kevin D. Murph¡ Colonial Revival Maine (Princeton, New Jersey: Princeton Architectural Press, 2004), p. 109. Information received from Christopher Lyons, Chief Librarian at the William Osler Medical Librar¡ McGill University, Montreal, via email in March 2010. "Brooklyn Society,'TheBrooklyn Eafe, November 5, 1899, p.9. Also: November 17, 1899, p.9. Announcement,The Brooklyn Daily Eagle, October 16, 1908, p. 15. In ânother mention of the upcoming nuptials, the reporter writes Clara "has always been regarded as a very charming girl. Miss Elizabeth Packard is her unmarried sister." One wonders what the impact of such subjective commentary was for both young women. Harrison E. Wright. "History of Kirkpatrick Family And Bernardsville House Told, "The Bernards ville News, May 24, 1956. The name of a geographical spot in the area is "Packardt Corner," presumably because of Bessieì time in residence. Capt. lohn Kirþatrick of New lersey 1739-1922 and His Sisters Mrs. loseph Linn & Mrs. Stephen Roy: A Genealogy by William Clinton Armstrong, 1927, n.p. http://wc.rootsweb.ancestry.com/cgi-bin/igm. cgi?=GET&db=kirkpatrick (Accessed February 24, 20 1 5). "History of the American Field Service in France," http://net.lib.byu.edu/estu/wwi/memoir/AFShist/AFS3j. htm (Accessed March 17,2010). Obituar¡ The Bernardsvílle News, January 30, 1.947, p. 4. Teresa Mora, "Historical Notel 'The Civitas Club Collection 1893-1993 (Bulk Dates: 1893-1960) Finding Aid (Brooklyn, N.Y.: Brooklyn Historical Sociery 2000), p. 3. 'A Short History of the Cosmopolitan Club," www,cosclub.com. (Accessed April 201 1). "Brooklyn Hostesses to Greet Nåtional Anti-Suffrage Headl' The Brooklyn Daily Eagle, October 24, l9l7 . 'Alderley" was sold to Nathan A. Taylor of Philadelphia in 1914; the name thereafter and to this day is "Braemar." Butler, email to author, March 16,2010. Rebound pages and "Penance" poem - M1999.6.1Guelph Museums collection, Guelph, Ontario, Canada. The five hand-written poems are "Penance," "Mine Hosti"'The Night Cometh,"'Anarchy," and "The Oldest Drama." The Winnipeg Tribune, 'December 16, 1933; December 25, 1933; January 5, 1934. 1933 was also a year that brought some undesirable reportage from The Brooklyn Daily Eagle when Harold Sterling Gladwin sued his wife, Clara Packard Gladwin, for divorce on the grounds of desertion. Gladwin had left his career as a stock broker in New York and was working as an archeologist in Arizona. Clara remained in Santa Barbara, California wit her son. Gladwin won his Reno divorce decree in March of 1933 and quickly married Winifred MacCurdy, a co-worker in Arizona. James and Geills Kilgour also had two sons: John McCrae Kilgour (b. 1911) and David Eckford Kilgour (b. 1912). Mildred Halsey died in 1938. David Gardner-Medwin (1936-2014) in an email to the author, March 31, 2010. "Speed 'Threat' Draws crowd At Boat Show" The Brooklyn Daily Eagle, January 22, 1933, p. 39. "A Short History of the Cosmopolitan Club". "Ethel Halsey Blum" [the Ethel H. Blum Gallery/College of the Atlantic] www.coa.edu (Accessed 2010).